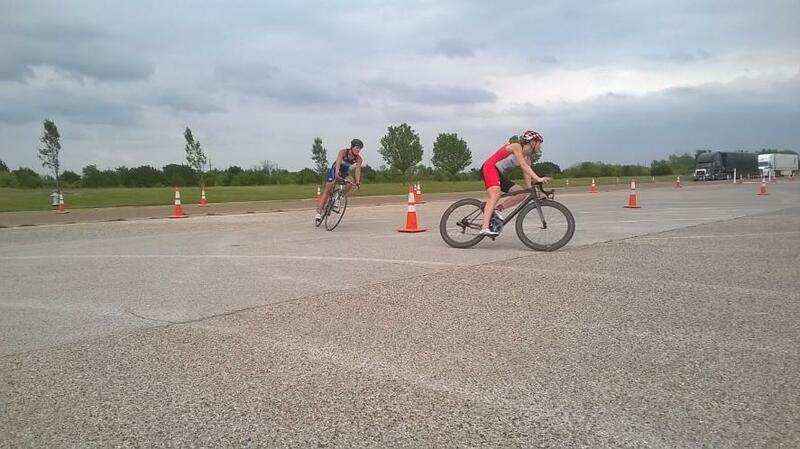 Last week I raced my first Major League Triathlon race in Temple, Texas. If you don’t know about the series you should check in out at www.majorleaguetriathlon.com. It’s a series of four events featuring age group races, a pro mixed relay super sprint (the most entertaining form of triathlon), clinics with the pros, meet and greets with the pros, a festival and a concert. It’s a full weekend with activities for everyone and a great opportunity to interact with professionals in the sport. This year there are eight teams made up of two men and two women each representing a “home town” team named after the cities we will race in. The goal was to make the teams as equal as possible to make for some entertaining and exciting racing. I’ve been teamed up with Ben Kanute, Calah Schlabach and Robbie Deckard representing the Temple Torros. Unfortunately the race directors had a string of bad luck with the first race. The park where the race was going to be held revoked their permits two weeks before the race. The race directors worked diligently to find a new location that would work but they were finally left with one option: bring in an above ground pool. When the pool arrived they surveyed the land and realized the pool wouldn’t work at the race site. Due to this, they unfortunately had to cancel the amateur race but they were able to throw together a pretty awesome course for the pros in the convention center parking lot. 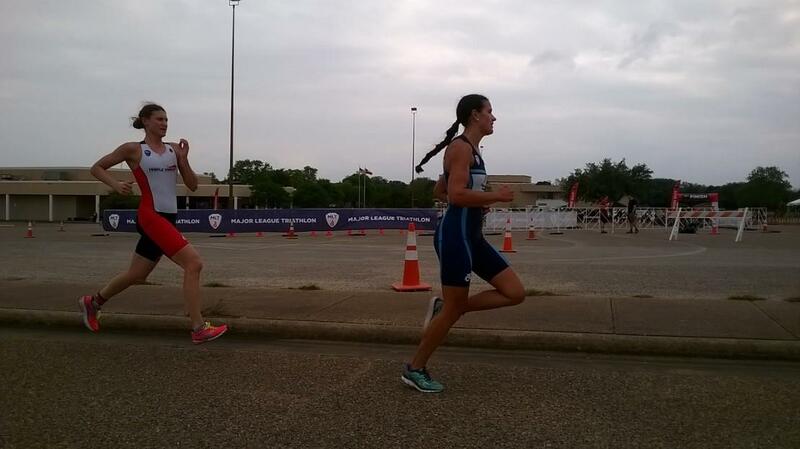 The race consisted of a 1 mile run (2-loops), a 3.5 mile technical bike (5 loops) and a .5 mile run (1 loop). Calah led off the team with a strong start (she had the fourth fastest female circuit) tagging off to Robbie in fourth. Robbie was able to catch the athlete in front of him and tagged off to me in third. I took off about 10 seconds behind the 2nd place athlete but they made a decent break on the first run. I worked hard to make up time on the bike and was slowly was catching the first and second place bikers but it wasn’t enough. The girl in fourth was riding my wheel and passed me for the final loop. I tried to hold on to her as much as possible on the run. I tagged off to Ben with our team in fourth by a small margin. Ben had an awesome bike and was chipping away time into the first and second teams but our deficit was too much (he had the fastest circuit for the males). We ended up in third overall, a great start to our season as the home town team! At the finish many of my fellow athletes said the race was one of the hardest things they’ve ever done. I definitely thought it was hard but far from the most painful race. I’ve definitely become more accustomed to the pacing of 70.3 and even Olympic distance racing. There’s not much pacing in a race like this, it’s pedal to the metal and all out from the start. I definitely think this is a great opportunity for me to find that extra gear in racing speed and it will be great motivation in training. I’m looking forward to racing again June 18th in Sarasota, especially looking forward to that swim! 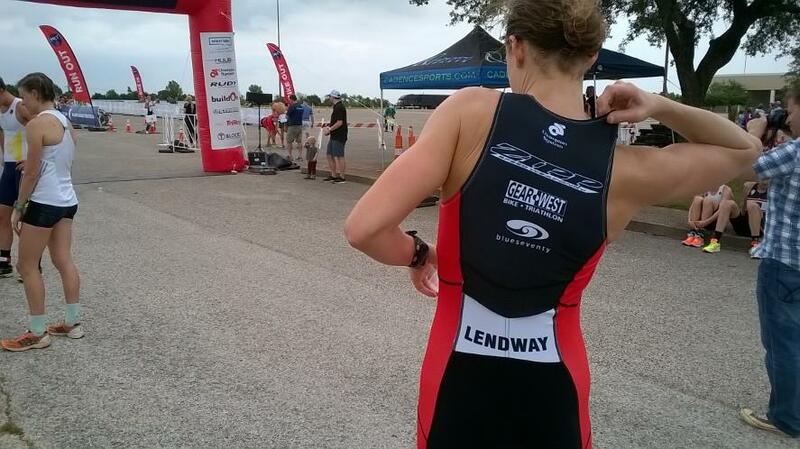 If you want to join in on the fun you can get a 10% discount on your registration using the code “Lendway”. 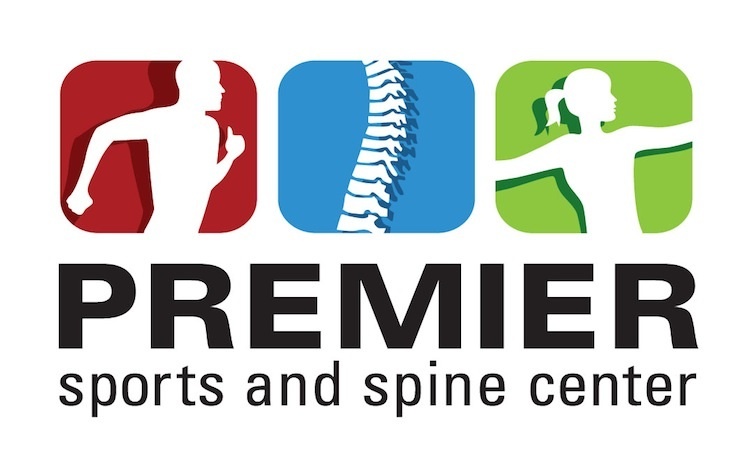 Your entry includes access to the pro panels, pro hosted clinics and pro meet and greets. It also includes festival entry and concert entry. Feel free to message me too if you want to know more! Huge thanks to Major League Triathlon for sponsoring such an awesome event and continue to host the pros after all the issues the dealt with. It’s great to work with a people that are passionate about triathlon and people that care to grow the sport. David and I, our teams were fourth and third respectively. Awards ceremony at the concert. Left to right, me, Robbie, Ben and Calah. Photo thanks to John Deckard.